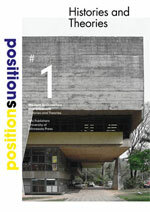 Positions is an international, multidisciplinary, blind peer-reviewed scholarly journal devoted to the ongoing history, historiography, analysis, and theoretical reconceptualization of modern architecture and urbanism. The aim of the journal is not to settle once and for all the question of what modern architecture and urbanism has been or is. Rather Positions is a discursive forum for research on, inquiries into, and debate about modern architecture and urbanism; for the asking of new questions and the re-examination of old ones; for the framing of new research agendas and the reframing of familiar ones; for the excavation and analysis of unknown or understudied projects, institutions and movements and the reexamination of previously examined ones; and for the deepening of established theoretical perspectives and their contestation by new ones. 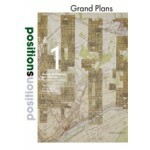 In the spirit of modernism itself, the editors of Positions wish to break down the barriers that prevent the study of modern architecture and urbanism from becoming a truly international and multidisciplinary field, unhampered by linguistic barriers and the vastly different cultures of the many scholars currently at work. The contributions will lead toward multiple paths, sometimes heading in the same direction, sometimes following opposite tracks. 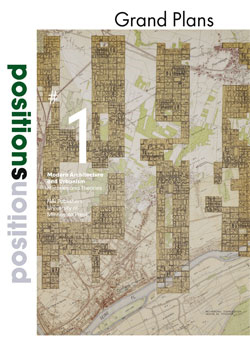 The first issue of Positions will focus on global urbanism, providing scholars with a platform to present the latest explorations in the field, broadening its scope, and questioning the limits and inner logic of the body of knowledge amassed so far.